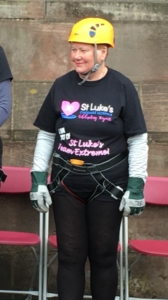 Jenny a Resident at Hazelmere Retirement Village completed her brave and selfless Abseil Challenge down Liverpool Cathedral in aid of St Luke’s Winsford on 18th August 2018. To date she has raised £200 but donations are still coming in. 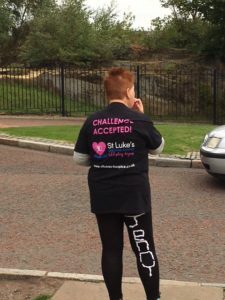 Jenny says “Abseiling 100 meters front of Liverpool Cathedral was one of the best days of my life. It was scary with lots of steps to climb, but exhilarating. I felt safe in the hands of the team guiding me through it and the view from the top was breath taking! Jenny advised Jane Langley Scheme Manager that she is so looking forward to her next challenge – watch this space !